Now he's taking on a new record-setting challenge, the Global Reach Challenge, to raise funds for Marie Curie. By completing the challenge he'll become the first person to have crossed both polar ice caps and climbed the highest mountains on each continent. This is the official website of Ran Fiennes, described by The Guinness Book of Records as “the world’s greatest living explorer”. 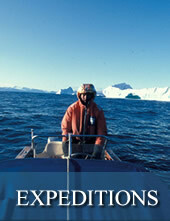 That was back in 1984 since when he has broken many more world records and led many more expeditions to remote regions. 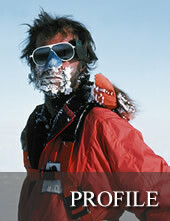 This site is your complete resource for all aspects of Sir Ranulph's inspiring and fascinating career. For over 40 years he has lived through countless life-threatening experiences. Just reading about the many exploits of Britain’s most famous explorer is breath-taking which is why we encourage you to visit this website. Sir Ranulph Fiennes has announced his next record-breaking challenge, in which he will be risking life and limb to raise vital funds for the charity, Marie Curie. 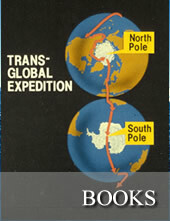 The intrepid explorer is attempting to complete the Global Reach Challenge and become the first person to have crossed both polar ice caps and have climbed the highest mountain on each continent. To follow his progress over the coming months and support Sir Ranulph's challenge in aid of Marie Curie, please visit www.justgiving.com/Ranulph .